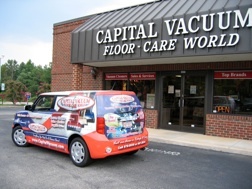 Vacuum Sales • Service • Repairs • Supplies...Since 1953! 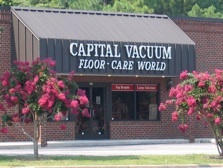 The Very Best Vacuum Stores... in the Triangle! 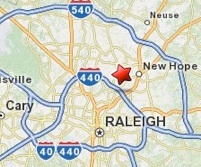 Cary Store 209 E. Chatham St.
Where your friends, family & neighbors shop! I-40 take Harrison into Cary, turn left on Chatham St., go to third block on left. From Apex take Old Apex Rd. until it turns into Chatham St. From Holly Springs, take Walnut, turn Right on Maynard, left on Chatham, follow into downtown. 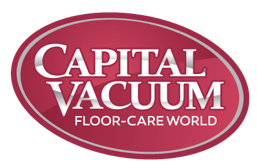 Capital Vacuum Raleigh & Cary - Vacuum cleaners, Vacuums, Upright vacuum cleaner, Canister vacuum cleaner, Built-in Central Vacuum Cleaner. Vacuum cleaner bags, Vacuum cleaner filters, Vacuum cleaner belts, Vacuum cleaner hoses, Vacuum cleaner brush rollers, Vacuum cleaner parts & supplies. Miele Vacuum Cleaner, Riccar Vacuum Cleaner, Beam Built-in Central Vacuum, IQ Air room air purifier - 30 Vacuum brands and 250 models. 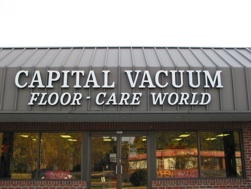 Vacuum Cleaner Sales, Vacuum Cleaner Service, Vacuum Cleaner Supplies.